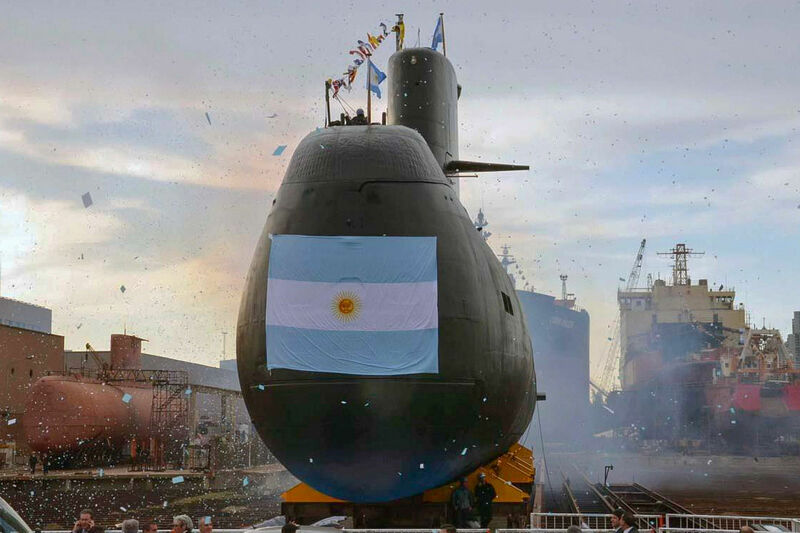 The Argentine Navy’s submarine ARA San Juan (S-42) disappeared in the South Atlantic, off the coast of Argentina, on 15 November. At the time of this writing, a multinational effort is underway to locate the platform and its 44-person crew. This tragic accident has prompted a discussion in Argentina regarding whether the country’s armed forces are being allocated sufficient budgets to repair or replace aging equipment. Additionally, the San Juan incident must be placed in a wider discussion about civil-military relations, defense budgets, and the present and future of South American submarines. Theories revolving around what happened to San Juan focus on an electrical malfunction that was reported by the crew prior to disappearing, though it was reportedly solved. The platform was returning to its home port of Mar del Plata when communications were lost. Naval protocol dictates that San Juan should have surfaced and traveled back to port, and it is unclear why the submarine continued its voyage submerged in spite of the aforementioned electrical problem. Adding to the mystery and overall concern was an apparent underwater explosion that reportedly occurred around 23 November in the general area where San Juan disappeared. The fear is that the explosion may have actually been an implosion due to pressure on the submarine’s hull. San Juan, constructed by the West German shipyard Thyssen Nordseewerke, was commissioned by the Argentine Navy in 1985. The platform, a TR-1700 class, weighs slightly over two thousand tons, measures 66 m in length, with a max speed between 15 kts (surfaced) or 25 kts (submerged), and as it is powered with diesel engines – it went through mid-life repairs in 2008. Its sister vessel is ARA Santa Cruz (S-41). The disappearance of San Juan prompted a plethora of articles listing other notable incidents regarding submarines. One recent example that is often mentioned is the loss of the Russian submarine Kursk (K-141), an Oscar-class platform that suffered an explosion in the Barents Sea in August 2000. The U.S. has also lost submarines, like the USS Thresher (SSN-593), a nuclear-powered platform, in 1963, and the USS Scorpion (SSN-589), which disappeared in May 1968. That same year Israel’s INS Dakar and France’s Minerve (S-647) also disappeared. When it comes to South America, submarine accidents are rare but, unfortunately, they have occurred. For example in 1919, the Chilean submarine Rucumilla, an H-class platform, was carrying out maneuvers, when it started to flood; thankfully, all 23 members of the crew were rescued alive. More recently, the Brazilian submarine Tonelero (S-21) sank while it was undergoing repairs at a harbor in Rio de Janeiro in 2000. The crew members aboard also managed to escape safely and the diesel-powered, Oberon-class submarine constructed in the 1970 was successfully refloated only to be decommissioned shortly after. Because submarines are a key element of a nation’s naval deterrent, detailed information regarding their status, including armament, is a sensitive issue. With that said, we can provide some general points from what is publicly known, and how these platforms fit into regional maritime strategies. While most regional submarines are operational, others have been undergoing repairs for a significant amount of time. For example Argentina’s San Juan underwent mid-life repairs that required over five years of work (the Argentine media has critiqued this). 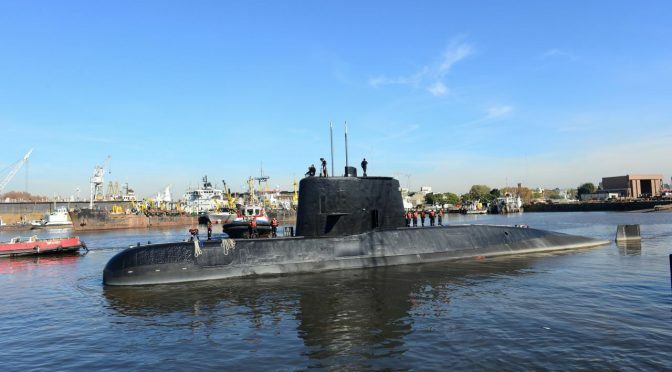 Meanwhile the ARA Santa Cruz has been undergoing repairs at an Argentine shipyard since 2016, leaving the navy with only one submarine, ARA Salta (which was constructed in the early 1970s). Additionally, Venezuela’s Caribe (S-32) has been in a dry dock since 2004-2005, awaiting repairs. It is somewhat bizarre that in spite of the billions of dollars spent on the Venezuelan military during the Hugo Chavez era, the submarine fleet was not modernized or expanded, and it consists of only two platforms, Caribe and Sabalo (S-31), both are U209A/1300 constructed in the mid 1970s. In recent years, there have been a few new acquisitions. A decade ago (in 2005-2007), Chile incorporated O’Higgins (SS-23) and Carrera (SS-22), two Scorpene-class submarines constructed by DCN-Bazan (now Navantia), to replace the old Oberon-class platforms. 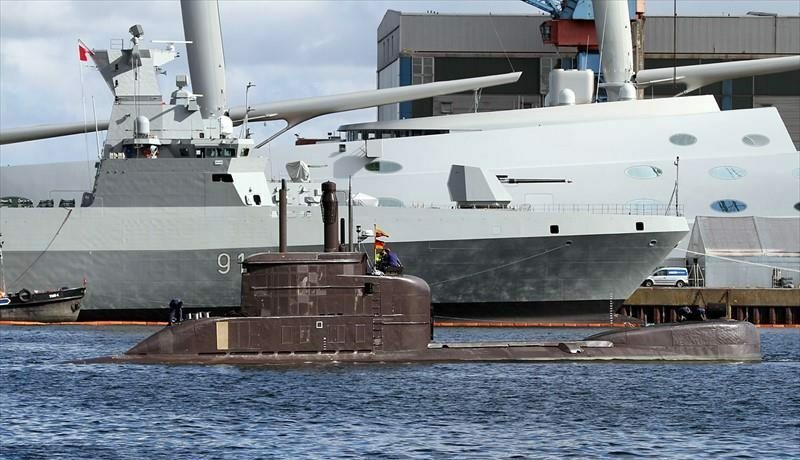 Additionally, in 2015 the Colombian Navy received two refurbished German submarines, U206A-class, for its Caribbean and Pacific fleets. The platforms, now renamed ARC Intrépido (SC-23) and ARC Indomable (SC-24), were constructed in the 1970s and served in the German Navy until 2010-2011, when they were retired and sold to Bogota the following year. Finally, Brazil has the ambitious goal of domestically manufacturing submarines, as it is currently constructing with French support four Scorpene-class submarines and one nuclear-powered platform (the author has discussed this program in a November 2016 commentary for CIMSEC, “The Status of Brazil’s Ambitious PROSUB Program”). Of the region, the country has the most modern fleet as its current submarines (four Tupi-class and one Tikuna-class) were manufactured in the late 1980s and 1990s. Why Do South American Navies Want Submarines? Ultimately, what is exactly the role of undersea forces in South America in 2017 and beyond? The last conflict in the region was the Cenepa War in 1995 (Ecuador vs. Peru), while the last conflict with a maritime theater of operations was the Falklands/Malvinas War of 1982 (Argentina vs. United Kingdom). While inter-state warfare in South America is not unthinkable, it is highly unlikely. Thus as regional naval strategies continue to evolve to properly address broad-spectrum maritime security threats (illegal fishing, drug trafficking, and humanitarian relief), the raison d’être of undersea forces must adapt, too. In an interview with the author, Christian J. Ehrlich, Director of Intelligence at Riskop and Non-Resident Fellow at the Mexican Navy Institute for Strategic Research, explained that navies have three main missions: maritime security, naval diplomacy, and defense. Latin American navies have focused, particularly in recent decades, on the first objective – given the lack of inter-state conflict and generally peaceful diplomatic relations. This new reality has made it “financially difficult to maintain naval platforms that are mostly, if not exclusively, aimed at defense operations.” Mr. Ehrlich adds that navies that possess attack submarines have had to find a new “role” for these platforms, such as supporting surveillance or combating illegal fishing, such as when Ecuador’s submarine Huancavilca was deployed to combat illegal fishing after a recent incident involving a Chinese vessel off the Galapagos Islands. The tragic disappearance of San Juan has brought to light a number of issues. In Argentina, the media and public are demanding both answers and culprits, and it is likely that the navy’s high command will have to resign. The Argentine media has discussed the military’s current status, blaming the civilian leadership of not providing adequate budgets to the armed forces to replace old equipment. At a regional level, this incident has brought to light the problematic reality of South American submarine fleets. Generally speaking, they are quite old, in need of replacement, and they need to find new roles to be relevant to contemporary maritime security strategies. Thankfully, submarine-related incidents have been scarce, though the 1988 incident of Peru’s Pacocha and the current disappearance of Argentina’s San Juan exemplifies how just one accident can claim so many lives instantaneously. Such is the perilous life of the submariner. The author would like to thank Erica Illingworth for editorial advice.